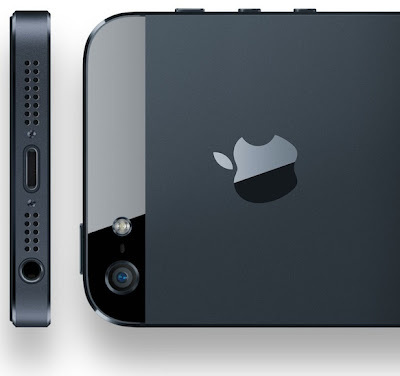 Rumors about a new generation iPhone, or also known as the iPhone 5S is not something new. According to what is heard today, it said the device will be introduced as early as June 20 and go on sale in July 2013. Japanese web site MacFan reported the iPhone 5S will soon go on sale in July. Many analysts also say the device is likely to come as early as June. For now, what will be included on the new generation iPhone is still unknown. Many iPhone users are waiting for in terms of interface updates to iOS 7.0, well maybe we will see updated specs on the device. Will it be rolled or otherwise on that date, remained a mystery, and unknown at the moment. Whatever it is, of course if Apple maintains the launch date sometime in September as before, it will give a chance to their nearest competitors - Samsung, to continue to dominate the market through their latest device, the Samsung Galaxy S4. Prior to this, last year, Apple also introduced updates to the iPad same within less than a year, making many predictions and speculations which make the new iPhone will be present equally in the next few months. All the achievements that we see in the field of science and technology are because of education. All the fields of science are making progress rapidly. Site cheap essay writing services is spreading all over the world. It has revolutionized our world.